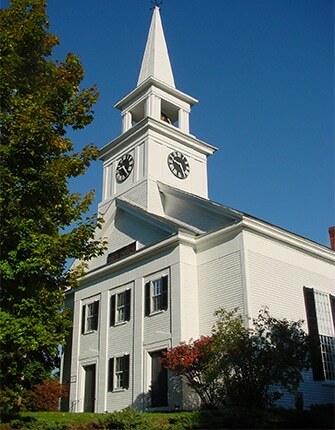 First Congregational Church – Hopkinton NH – United Church of Christ – We are an open and affirming Congregation extending a friendly welcome to all. We are an Open and Affirming Congregation extending a friendly welcome to all. Come join us! Our Pastor, Rev. 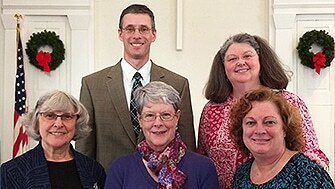 Dr. Gordon Crouch, and our many members joyfully welcome you to First Church, Hopkinton NH. Worship with us every Sunday at 10:00 am. Church school programs and childcare are available during worship for children and youth (from infants through 8th-grade) during the school year. Children and youth leave for Sunday School part-way through the service. Welcome to the First Church! We are blessed by all who join us. Come and discover a place of freedom to be yourself. Rev. 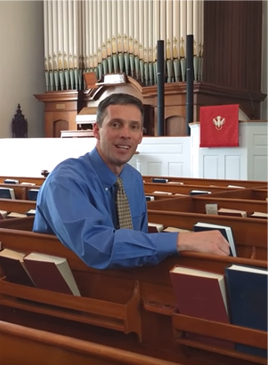 Gordon Crouch has been pastor of First Church, Hopkinton, since 2000. Staff includes (left to right): Missy Dustin, Director of Chancel Choir; Margaret Serzans, Administrative Assistant; Mindy Wolfe, Director of Chancel Choir and Bell Choir; and Trish Walton, Coordinator of Children and Youth Ministry. Rev. 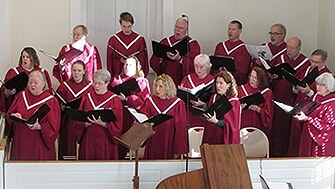 Reed Loy will lead the ecumenical sunrise service on Putney Hill this year. We will gather at 6:00 am at 155 Putney Hill Rd to greet the risen Christ in the midst of God’s beautiful creation. Following the brief service, all are invited to First Church for a delicious breakfast. There is no better way to begin your Easter morning – please join us! On March 14, the Thursday Morning Book Group will begin discussing Aristotle’s Way: How Ancient Wisdom Can Change Your Life by Edith Hall. The cost of the book is $15. We will discuss the Introduction and Chapter 1 on March 14. The Thursday Morning Book Group meets every Thursday from 9:30-11 AM. All are welcome! Long-time members will be recognized during the service.